How To Delete IMVU Account :- IMVU is a online social media website that lets its users to create or edit profile, make specific 3d avatars, meet with existing members and chat with them via sending messages. We have received some mails from our website readers that they want to delete their account from IMVU website. When we studied about this topic that why users are deleting their account from the website we discovered that most of the people who are deleting their account from the website are either receiving mails from company like promotional or newsletter which is making their mailbox look spammed while other members say that currently they are not using the account and some say they are using other social network that is why they want to delete their account. If you deleting your account just because of their newsletter or mail you can either mark the mail as spam by clicking on spam button given at top of your mail button or unsubscribe the mail by clicking unsubscribe link given at the bottom of the mail. If your reasons are other then i will guide you step by step method on how to delete your account from IMVU website. IMVU website was founded by Eric Ries in 2004 and it is one of the best online website to meet new pepole using custom 3D avatars. As per company statement currently the website has more than 3 million active users on the website and the company has hire more than 119 employee. Go to the following url http://en.imvu.com/catalog/web_delete_account.php and log-in to your account. After log-in to your account click on your will be redirected to DELETE ACCOUNT page. On Delete Account page enter yor password and click on button CONTINUE to permanently delete your account. 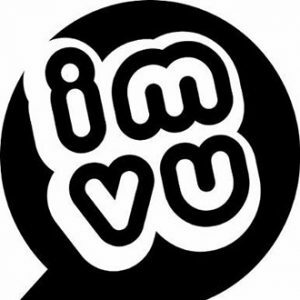 For more information on How to Delete IMVU Account stay updated to this website.